The TYTL VÜ is designed to maximize freedom of positioning by using 3-coil technology. Place your phone anywh ere on the pad. No need for perfect alignment. 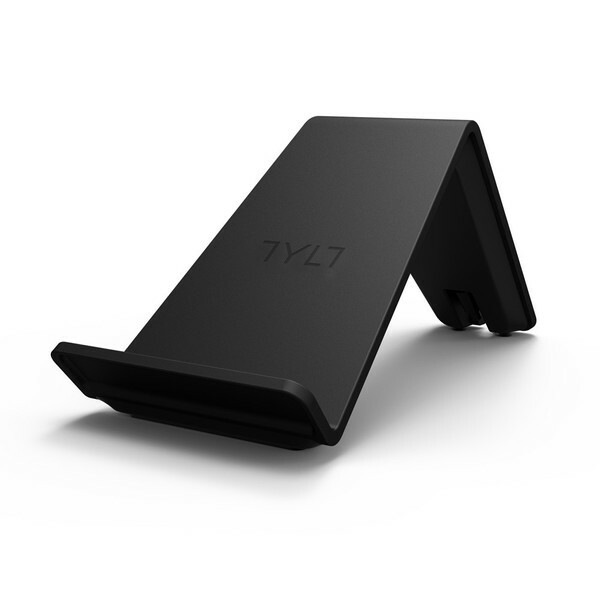 Place your phone in portrait or landscape orientation– the TYLT VÜ is designed to just work. Holds your phone at 45° so you can easily see calls and texts at a glance. Great for watching videos and never running out of juice.